Trash Isles, AMV BBDO's campaign for LadBible and Plastic Oceans Foundation, scooped awards at Cannes Lions last week. Campaign speaks to the creative team about how they delivered a serious message with a light-hearted approach. A quick Google search on plastic pollution brings up a host of screaming headlines with warnings such as "slowly killing the human race." The problem is clearly high in public consciousness, but merely a year ago, this was not the case. "It was out of sight, out of mind," says Michael Hughes, a creative at Abbott Mead Vickers BBDO. "No one was talking about it." 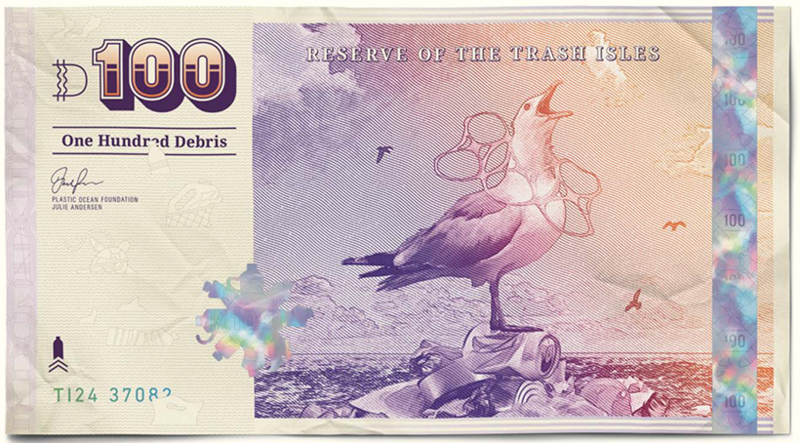 Campaigns such as "Trash Isles", for the Plastic Oceans Foundation and LadBible, have helped change that. Created by Hughes and Dalatando Almeida and designed by Mario Kerkstra, Trash Isles won two Grands Prix at Cannes Lions last week, for Design and PR. LadBible came to AMV BBDO with the brief for Plastic Oceans last year, aiming to raise awareness among a younger generation about the plastic pollution issue in the oceans. All the facts painted a dire picture; one statistic showed that unless action was taken, there would be more plastic than fish in the oceans by 2050. While research shows younger people tend to be far more politically active online, this demographic "wants to engage in something that isn’t too worthy," Hughes says. Against a grim backdrop the creative team needed to take a light-hearted approach, but the inspiration for the campaign came from a rather dry place: legal tenets. Specifically, The Rio Declaration on Environment and Development, instituted at the 1992 United Nations Conference on Environment and Development, which says countries have a collective responsibility to help conserve and restore the environment. 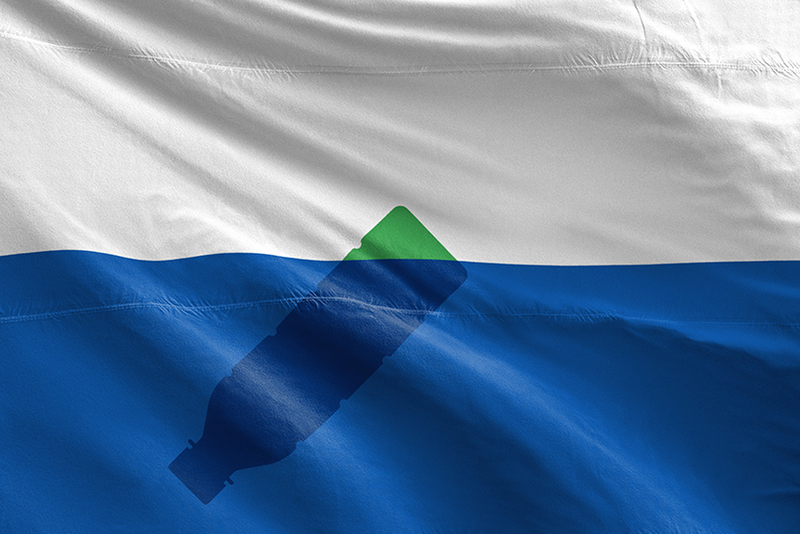 Almeida and Hughes determined that if all the plastic in the sea was declared an official country, other countries would be obligated to clean it up. This realisation is an example of the great ideas that can come from unexpected sources, Hughes says, advising other creatives to "look at other areas of life" for inspiration. "If you’re all reading the same publications and books, you’re all going to come to the same points," Almeida adds. "That tedious paperwork unlocked something special." That special something was "Trash Isles": a campaign to empower young people to lobby the United Nations to acknowledge the plastic in the oceans as a country, in order to force the issue to be addressed. Plastic Oceans and LadBible submitted Trash Isles’ country application to the UN on World Oceans Day 2017. According to the Montevideo Convention on the Rights and Duties of States, there are four requirements to become an official state. Trash Isles met all of them. First, define a territory. The campaign claimed all the plastic in the North Pacific Ocean as theirs. Second, form a government. Trash Isles established a monarchy and appointed Dame Judi Dench as queen. Third, be able to communicate with other states. The PR, social media, advertising and online content of the campaign covered this off. Finally, establish citizens. This is how the campaign brought in members of the public, by asking people to become citizens and sign a Change.org petition urging the UN to recognise Trash Isles as an official country. 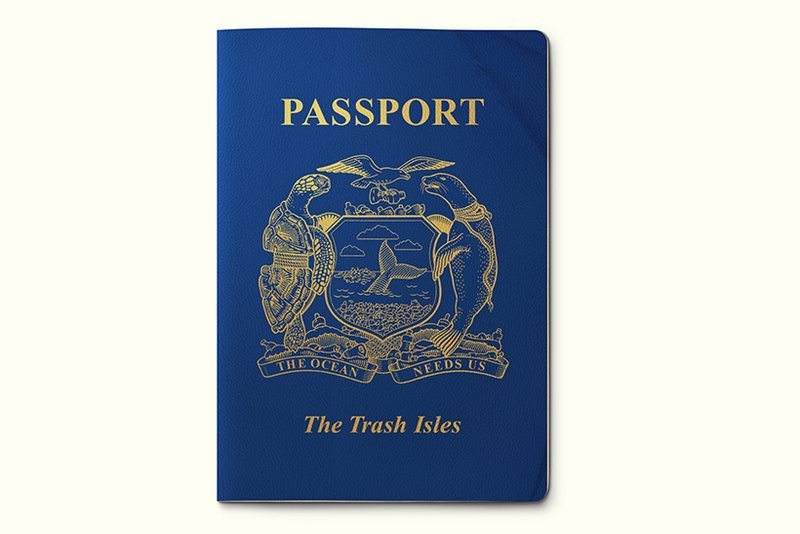 New citizens received Trash Isles passports, one of the unique design elements that helped the campaign scoop a Cannes Grand Prix in the category. The team also designed currency, stamps and a country flag. The results of the campaign far exceeded expectations. Trash Isles signed up almost a quarter of a million citizens, 100,000 of those just in the first week, and it is now bigger than the population of Samoa. Former US vice-president Al Gore was the first honorary citizen of Trash Isles, and American professional wrestler and actor John Cena offered to be the minister of defence. Stéphane Dujarric, spokesman for The UN Secretary-General, praised the campaign as "a very innovative and creative way to bring attention to a problem that is often not seen given the location of these piles of trash, but a problem of polluting the oceans and killing life in the oceans." "It kind of spiraled out of control," Hughes recalls. A furniture maker in Holland emailed them with a proposal to make a desk for Trash Isles meetings, and a writer offered to become the country’s official poet. In part due to the campaign’s success, the issue has become a major discussion point around the world, with 193 countries at the most recent UN conference pledging to tackle the global crisis of plastic in the oceans. While the global tide is turning, progress is also happening on a personal scale. "It changed us," Hughes says. He and Almeida started carrying recyclable bottles to work and bought special recycle bins for their homes. 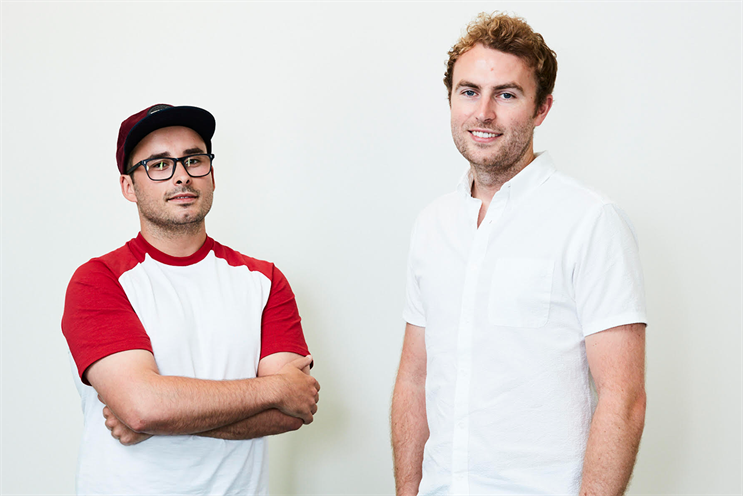 At Cannes Lions last week, the pair made Trash Isles passports for the Titanium jury members, and asked announcers at the awards ceremonies to introduce them as the founding fathers of Trash Isles. "The fact we’re laughing about this is why it worked so well," Hughes says. "We delivered a serious message in an absurd, light-hearted way." But despite the outpouring of accolades, creative recognition was never the point. "It’s only making more noise around the subject matter, which is what we want," Almeida says.